Located on Washington Ave between San Leandro Blvd and Halcyon Dr, Extra Space Storage serves San Leandro residents near Lower Bal, Upper Bal, Laqua Manor, and Ashland. Locals will recognize our facility a few minutes northeast of James Monroe Elementary School near Pak N Save. Extra Space Storage on Washington Ave offers a large selection of storage units, climate-controlled storage, vehicle storage, and more! We're the ideal storage partner for you in San Leandro! 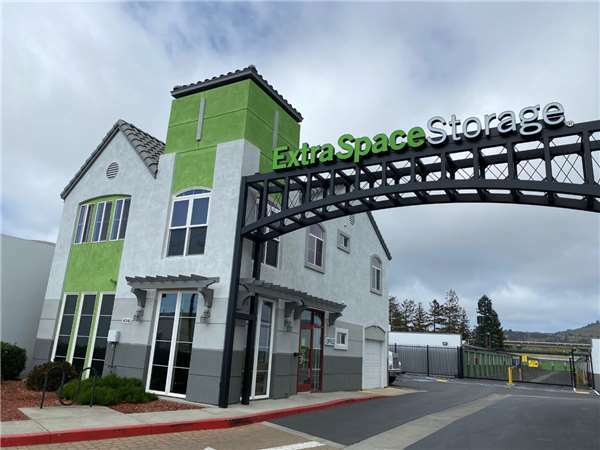 Our San Leandro storage facility has everything from 3x3 storage lockers to 20x30 drive-up units, so it's easy to find the solution for your residential or commercial storage needs! At Extra Space Storage, we strive to provide a safe environment and peace of mind for our customers. That's why our property has security measures like an on-site resident manager, individually-alarmed units 24-hour video surveillance, and electronic gate access. Concerned about storing sensitive items? Store your belongings in a climate-controlled unit! This amenity keeps your unit between 55 and 80° year round, protecting your items from California's extreme heat. Units with climate control are available in sizes 5x5 to 10x16. Extra Space Storage provides indoor vehicle storage and outdoor vehicle storage in San Leandro! We can easily handle cars, motorcycles, boats, and RVs with 8x20 to 8x40 outdoor parking spaces and 10x10 to 20x30 enclosed drive-up units. Extra Space Storage is dedicated to providing the reliable storage solution you want with excellent service. From our clean, secure, well-maintained storage facility to our friendly, professional staff, we go above and beyond to meet your needs. Contact us today to reserve a storage unit in San Leandro! This place is kept clean and well run by onsite manager. The owners however raise the rent frequently and charge too much. Very helpful staff, took the time to show me around. Clean well kept facilities, with push carts to help you unload your stuff. Very well maintained property easy access great hrs great price for the size storage you would be getting employees very helpful and polite. Alarms on all units when you put your code in to leave it activates your alarm on your unit. Excellent service and clean. They are very friendly. The space that i wanted they made sure i received it and location. I was welcome with kindness and respect without a doubt!!! Just moved into my storage and the experience was very good. Online and onsite manager was very helpful and informed. The employees were nice & friendly. We left a couple things out that didn't fit & the manager was nice enough to keep our things safe overnight.The storage was a drive up unit & very clean. It seems like a safe neighborhood. The move in experience was very stress free. The staff was very helpful. I was greeted warmly by Magda and immediately shown the unit I was interested in. When I agreed to rent the unit, she gave me her undivided attention while processing paperwork, explained everything quite clearly, and was very polite and friendly. I was impressed with the cleanliness not only of the unit, but of the entire grounds. Everything looked clean and new. I expect to have a very good experience at this location. Personnel does good job. However, there are trashiness going around facility by unforseen rental storage areas. And can be deterred. Overall though, the storage facility is in good condition. We just got a storage space the other day and we really liked this location. Maria was friendly and helpful, the location had gated security with cameras, alarms, and door sensors, and the location is close to our home. Great location all around. Nice place, we have use storage here for many of years. I needed a place to keep my truck until I am able to sell it. I went into you facility in San Leandro and had the pleasure of working with Ray Sherrod. He was extremely helpful and was able to match me up with a spot or my truck. We recently rented a storage unit to hold our furniture until ready to move and guided us through the process making it easy. That I why I went back to him again. I would highly recommend him and our facility to anyone. Manager, Jamison, is knowledgeable and helpful in every way. The unit was clean and accessible and just the right size. Jamison went above and beyond to help us with a tricky 2 part move. Thank You, Jamison. I am very happy that I chose this facility because it mets all my needs its convinience to reach anywhere your're coming from. I thinks its facilities even the parking lot are well taken care of . Everything is super clean even inside the office is so organized I have to give the facility grade 10 as of the moment I have no complains but I would like to request that I hope my lease will not go up after couple of months as I am living on a fixed income. We needed extra space and thats what we got. A nice space that is clean and secure so we don't have to worry about our stuff. I was looking for a place to store my motorcycle and this is the best place in the East Bay! Easy access, very secure, very clean, great rates. I have used Extra Space in other locations but this location is the best of the best. I cannot say enough about the positives on this place. The staff is very helpful and customer focused. Directions from the North: Taking the Interstate 880 South to 14340 Washington Avenue: Get off on the Marina East Exit then swing a right immediately after you pass below the BART tracks onto San Leandro Blvd. Make another right onto Washington Avenue. Property will be on the left hand side, immediately after the stop light for 143rd Avenue, about two blocks after the underpass, past Roney’s Furniture, Island Auto Repair, Apollo RV, and Clark’s Home and Garden Center. Taking the Interstate 580 West to 14340 Washington Ave: Take the 238 North toward the 880 South.- Take the Washington Avenue Exit and make a right onto Washington Avenue. Continue on Washington, past the Valero station, the VCA Emergency Animal Hospital, The Puerto Bello Mexican Restaurant with the tiny VW mini bus in front of it painted like a character from “Cars”, through the intersection of Floresta/Halcyon Ave, past the Yuban Coffee Roasting Plant, and you’ll see the property on your right hand side. Directions from the West: Unless you have a boat, some other sea fairing vessel, or are a very strong swimmer, this route is not advised.